We have reached out to Uber, and await their input as of filing the story. Uber is reportedly pilot testing its own in-cab entertainment services in India, in a bid to ramp up the competition against its primary rival, Olacabs. 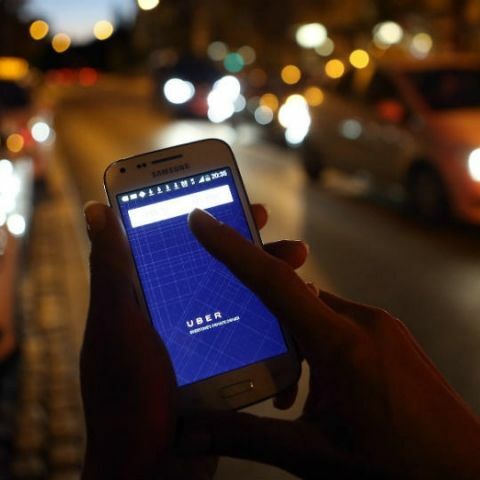 The internation ride hailing company is one of the two major ride hailing services plying in India, and according to a report by FactorDaily, has already launched its in-cab entertainment services as a pilot project in as many as 3,000 cabs spread across Delhi, Mumbai and Bengaluru. According to the report, the new line of entertainment services is initially being tested only in its sedan cabs, and specifically the ones that are leased out to drivers by the company itself. The report further states that Uber is using an outsourced platform that aggregates multiple entertainment platforms, with Hungama reported to be a key partner. The screens will also reportedly be bigger in size than the ones presented by Olacabs in its in-cab entertainment service, Ola Play, and users will get the alternate option of connecting their own phone(s) to the entertainment system to play/view their own content. Uber has been one of the leading players globally to promote connected car services, joining hands with Aeris and Intel. The company also became the first in India to provide in-cab internet connectivity services with Airtel 4G, but has since been overtaken by Ola in terms of in-cab services. The Ola Play service is only available in select sedans under Ola's Prime category of cabs right now, and such services are being seen as key differentiating factors in terms of gathering higher numbers of users. With increasing number of taxis on the road and dwindling prices, companies will soon be looking to provide enhanced services to lure more regular users to their platforms. The Ola-Uber tussle has been a long term war, with Ola being present in more Indian cities than Uber right now. As of now, it remains to be seen whether news of such services do materialise soon. We have reached out to Uber for verification of the same, and as of now, await their response. The story will be updated as we get to know more. Stay tuned!